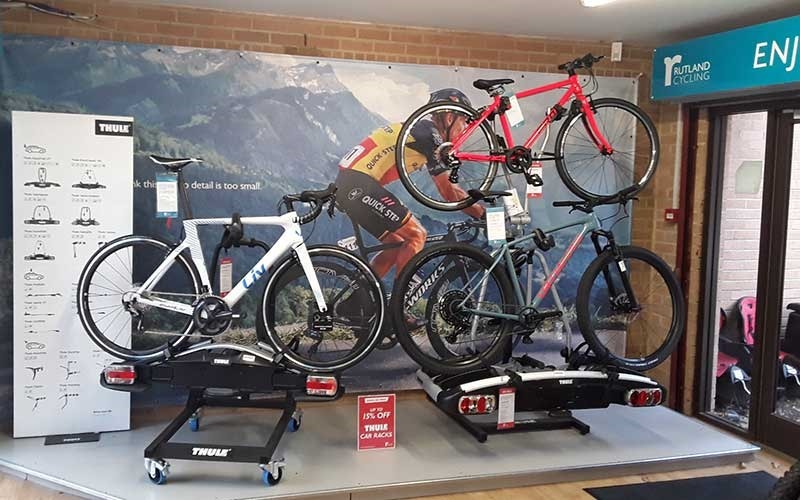 Visit Rutland Cycling’s bike shop at Pitsford Water for a selection of bikes to buy or hire and explore Brixworth Country Park and Brampton Valley Way. 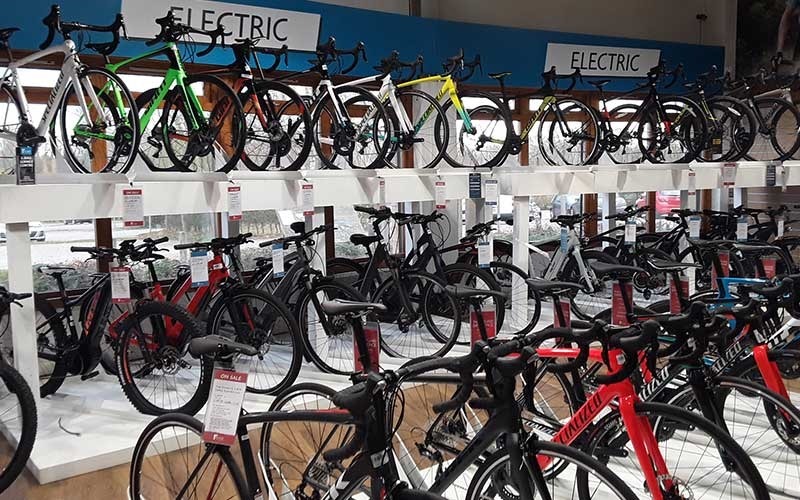 Rutland Cycling Pitsford Store opened in 2017 on the beautiful shores of Pitsford Water. We are located in the Brixworth Country Park car park, just off the A508 between Boughton and Brixworth. We are close to the Brampton Valley Way, a 14 mile rail trail built on the old Northampton to Market Harborough railway. Stef Brooks is the Store Manager at our Pitsford Store: Stef is a keen cyclist with a particular affinity for the Great British Tow Paths! Hi Stef, tell us - how did you get into riding? I started cycling properly back in 1994 after Chris Boardman hit the scene in a spectacular fashion in 1992. I rushed off to my local bike shop and purchased a Raleigh Reynolds 501, 7 speed racing bike. Within a year I was cycling the Wainwrights (walker) Coast to Coast and never looked back. What has been your cycling career highlights so far? I rode the Etape du Tour in 1999 on my custom built GT and rode the 176 miles in just over 8 hours. I also tackled the legendary Alpe du Huez riding from start to the actual finish in the ski village (not the pretend finish) in 1 hour dead. What is your top cycling tip? Get your self a service plan! It will really prolong your bikes life. We offer a range of service plans and one off services, find out more about what we offer here. From 2014-2016 I was constantly having issues with power output and it was about this time I switched to canal or Gravel riding so it didn’t seem to be a real problem. My illness finally came to a head early 2017 after buying my trusted Specialized (Zertz) Diverge, being bed ridden for 3 months and finally being diagnosed correctly (took 4 tries) with Helicobacter pylori. I didn’t ride for 12 months. So next year I’m looking at a 200km Gravel ride in Scotland, Paris Roubaix on my own and a 24 hour canal ride....no dramas. Oh and of course I will be needing the new Giant Revolt zero for this. But it is not only Stef who rides at Pitsford! Clair Parfrey, expert bike fitter, loves racing time trials. Find out more about Clair here. As well as cycling around Pitsford Water there are many trails you can follow close to our store! Salcey Forest: Roughly 17 miles south of our store is Salcey Forest. Salcey Forest is perfect for a family ride with one cycling trail and an onsite café. Harlestone Firs: A short 5.5 miles South East of our store is Harlestone Firs. 300 acres with fantastic singletrack and technical sections. Ideal for any keen mountain bikers out there! Northampton to Milton Keynes along the Grand Union Canal Cycling Route: For those looking for a bit more of an adventure, follow the Canal path all the way to Milton Keynes along the Grand Union Canal, totalling around 36 miles there and back. Passing through some beautiful landscapes and villages, this route is ideal for a weekend ride. We regularly post about our events and news on our Facebook page, click here to see what we've been up to! Address: Rutland Cycling Pitsford Store, Brixworth Country Park, Northampton Road, Northampton, NN6 9DG.